I just love it when one of our advertisers decides it’s time for a giveaway on The Ribbon In My Journal. Ross-Simons has been a well-loved jeweler for more than 60 years. With designer jewelry collections and couture straight from the runway, Ross-Simons has dazzled generations with its amazing selection and great prices. I love how their pieces combine modern, beautiful design with traditional elegance. Freshwater pearls are quite possibly the most versatile pearls as they come in every conceivable color, size, and shape. The beautiful necklace that Ross-Simons has provided for our wonderful giveaway is a Pearl Torsade (pictured at top). This 18-inch strand is designed with hundreds of near-round 5-6mm cultured freshwater pearls and closes with a sterling silver clasp. I can’t wait to wear the pearls to a garden party. I love pearls because it reminds me of the comment in the Bible , “the pearl of great price” referring to the kingdome of heaven. It would be wonderful to have a pearl to wear. Pearls – what can I say – a dream to own and the ultimate piece of jewelry to wear – how wonderful it would be to win such an exquisite necklace. Is there anything more beautiful. Pearls were Coco Chanel’s signature accessory. They were classic then and will continue to be for years to come. A must in every woman’s wardrobe. I am a Southern lady to the core, having been born and residing in Virginia for 62 years. I am a believer in keeping the old traditions – never wear white until after Memorial Day, stop wearing white after Labor Day (unless it is cream or beige), always have iced tea to serve to guests and, of course, wear pearls – the must have signature piece for all Southern ladies. I love Southern Lady because it celebrates the traditions and introduces new nuances to vintage customs. By the way, my family have been Virginians since 1637 and I am directly descended from the Moores of Yorktown, VA – the Moore house is where Cornwallis surrendered to Gen. Washington. Moores then married Carters, Anne Carter being the maiden name of Robt. E. Lee’s mother. So, I would certainly wear these pearls with pride for the great Commonwealth of Virginia. So very lovely… Pearls just glow, as would I wearing this gorgrous piece! How beautiful. The legacy of the South in one classic piece of jewelry. My mother is 84 and has just completed radical surgery. chemo, and radiation for breast cancer. All without one word of complaint. She has raised 5 children with grace under pressure and had, and still has, time for each of us. I would be so honored to present her with this awesome treasure! I’d love to win this beautiful necklace. It would be perfect with the dress I am wearing to a wedding in June! Thank you for the opportunity to enter. This is such a beautiful necklace and so different from any that I own. It would be wonderful to win and to wear at a wedding I am attending in AUgust this year. Since I was a little girl I have loved pearls – my birthday is in June. I’d love to win this necklace! Lovely. I remember being told once that sputhern ladies love pearls most of all because they are created by putting something lovely to cover something that was initially an irritation. And because over time, just like a southern belle they become more beautiful reflecting the warmth of the wearer. I love the new pearls that my husband gave me last year but I love most of all the single strand he gave me when we were first married. They hold the memories of our marriage. I would love to have this necklace to wear occasionally, but mostly to share with my daughter and GRANDdaughters! Nothing says “Southern” like a strand of beautiful pearls. I would love to win this! If I were so fortunate as to win this lovely necklace, I would give it to my hero. My mother just turned 81 years of age yesterday. She is my 84 year-old father’s caregiver. She suffers from illness herself, but she never complains. She cares for him and for every member of our family with such grace. Perseverance in little things, for Love, is heroism. She is my hero. When my daughter received her Masters degree from NYU, while working full time, expecting her first child and then caring for it, and going to school at night, four long years, I gave her a single pearl necklace, it was the most I could afford but she is a pearl of great price and I wanted her to know how much I loved her. Last month, she was diagnosed with breast cancer and had to have a mastectomy with reconstruction, She is only 44 years old and they had just moved back to the western United States from New Jersey. This terrible thing has been very hard on both her and her husband, but they are trying their best to live through it. Without too many tears. If I should be gifted with this necklace, I would give it to her as a sign of hope, that God can take something beautiful from the dark of the sea, and so He will do with her now. And bring her back to great joy and happiness. May God bless you both, Phyllis and Ross-Simons. Thank you so much. Pink pearls…..so feminine and beautiful. I’ve always thought that if I had a lovely piece of jewelry, it would be pearls! I look forward to each The Ribbon In My Journal post as it adds a bit of beauty to my day. Thank you Phyllis. The pearl necklace is gorgeous! How beautiful! Is it possible to have enough jewelry! 😉 Especially pearls…..
From one Phyllis to another what an absolutely beautiful necklace. They have such wonderful items. Thank you for this opportunity to possibly own such a pretty piece of jewelry. PS. I have never seen the name Phyllis appear so many times…I have know very few Phyllis’. Hope you have a wonderful and blessed day. Phyllis is not a very common name. You are right, there are many of us on this blog. We love pearls at our house. My husband and two of my daughters have birthdays in June. All of us absolutely love this necklace. Joy ohhh Joy!!! Pearls are my favorite of all!! For me, they are always “in style” no matter your age, no matter waht you are wearing! Class, just plain and simple! I absolutely love pearls, and have shopped Ross-Simons before. Wonderful things! So nice of them! I shared on my Pinterest Board Me! Things I love! What a beautiful necklace to wear but pass on to my daughter and granddaughter! It would be an honor to win – thank you very much! I am a great gramma. My jewelry is all old..would be fun to have something new. Our family has shopped Ross Simon for years. Beautiful necklace, if I were to win, would give it to my daughter who has become quite the Southern Lady Professional. At such a young age, she realizes that true beauty is not just pretty on the outside, but pretty on the inside first. So proud of her. Pearls are perfect any time. This necklace is beautiful. Would love it! I love pearls! And this is an especially beautiful necklace. Pearls make a woman feel feminine. I think that part of us gets lost in our day to day responsibilities. We take care of everyone else, but forget to take care of ourselves. I think we should celebrate being female and this beautiful string of pearls would certainly do the trick! Oh, how beautiful! I would love to win those gorgeous pearls. I tweeted! I love pearls and this necklace is gorg! Would love to win it! Thanks for the chance! Plain and simple…I LOVE pearls!! and I have shopped with Ross-Simons in the past! True Southern girls LOVES PEARLS and I am one of those girls and would absolutely enjoy wearing such a gorgeous strand of pearls. I just recently bought a pair of pearl earrings and this will be a perfect match. Beautiful pearl necklace! Nothing is as special and timeless as pearls and the memory of al the great women before us in our lives who have worn pearls. I to desire to be part of that legacy in my family tree. Wow! How pretty and elegant! I’ve read alot of comments here. Some really great stories. Pearls just make you happy. You feel elegant wearing them. 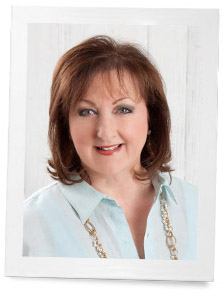 All these comments are a testament to this wonderful blog that Phyllis Hoffman DePiano is doing. I can’t wait each week to see the blogs. They make you happy reading too. Tweeted! These would be lovely to wear now…then to pass on to my 11 girl when she is old enough to appreciate and wear them. Thank you for the chance! Beautiful Pearls. My niece would love them. I would love to wear this beautiful necklace on my 50th wedding anniversary to celebrate the blessing of a wonderful marriage. Pearls are a jewel that bring me fond memories of my Mom. Baroque Pearls were her favorite and this necklace reminds me of the many times she and my Dad dressed up to attend a military function. Dressing up was an art those many years ago! The pearls are stunning. Timeless, classy, classic! These pearls are gorgeous and I will feel special wearing them! The pearls are exquisite! I’d love to wear them. This necklace is beautiful. I have a pair of pearl earrings and I wear them all the time. Next to my wedding ring, they are the best jewelry I own. I would love to have this necklace. Oh My, what memories this post brought. Like a string of pearls; like a flood of family moments, all marked in significance because we thought they were moments that were significant enough to wear our pearls. My first pearls were Ross-Simons. My grandmother took me to Hartzfelds, a lovely store on the Plaza in Kansas City. It was my first time shopping like an adult. We lunched together first in the tea room and then after strolling the departments I watched as dress after dress was brought out by a saleswoman who had set them aside for an occasion, my 16th birthday party. These dresses had been hand picked by the saleswoman at my grandmother’s direction. After choosing the perfect dress, we went to the jewelry department where she declared “you must wear pearls, dear. We all wear our pearls for such important moments in our lives.” Then she guided my choice to a perfect Ross-Simons strand that carried me through the first half of my life. Now my daughter has those pearls, which I gave her when she went through her white coat ceremony at her entrance to medical school. She wears them often as the connection to her great great grandmother. And now, I would love to give Ross-Simons pearls to my granddaughter…these would be perfect to carry her through her significant moments! Pearls enhance a woman’s beauty. This is a wonderful spring giveaway. Pick me. I think this piece is lovely and would feel like a queen wearing it! Thanks. What an amazingly beautiful necklace! Absolutely stunning… would be a perfect piece to complete my mother of the bride outfit for my daughter’s upcoming wedding! Beautiful, beautiful. I would feel like a queen…those are definitely fit for a queen. Pearls are so elegant…more beautiful than diamonds! This would be such a wonderful gift to receive. My daughter-in-law, Amanda gave me three handsome grandsons. I would love to give her the pearl necklace for Mother’s Day. Pearls remind me of my one of my favorite aunts named Pearl! A classy beautiful woman, priceless, like pearls! Pearls are the ultimate accessory. They are elegant , the most lady-like statement. My heart skipped a beat when I saw this beautiful necklace . It is truely incredible. Beautiful necklace! Pearls, one of the seas’s beauties every woman should own and by a well known jeweler! How fortunate to have opportunity in this giveaway and winner will be very blessed to own such a piece. Pearls are so beautiful and traditional. What a lovely gift! No other profound reasons-just that the pearls are beautiful and would complement anyone wearing them. The jewelry designs are exquisite! I would love to win the beautiful pearl necklace! Thank you for offering such a unique prize and for your lovely blog, Phyllis! Love the pearl necklace and The Ribbon in my Journal. Shared this with my Facebook friends. I love Ross-Simons. I ordered silver tableware from them eons ago, and even silver bracelets for my daughter’s about 20 years ago when they were in high school. You can feel confident in ordering from them because of their reputation and longevity……and they have beautiful things! My husband gave me pearls the Christmas before we were married, we have been married 54 years and I still wear them. Ross-Simons always offers such beautiful pieces. Love pearls. Pearls have always been my favorite….would really like to gift my beautiful granddaughter with these. Pearls have the most beautiful luster and looking at them is calming. When wearing them one feels so elegant. I love pearls. I am entering because winning would be a sign to help me through a difficult time…..and pearls are a special sign for me. Thank you. I shared your link on Facebook so others could see this beautiful necklace and have a chance to win it. There is going to be one LUCKY WOMAN win the necklace. I think I would wear it with my entire wardrobe and maybe even my night gown! Thanks for the opportunity to enter the sweepstakes. Hi, To see the pearl necklace when I opened my email was already a gift to my eyes, I love everything about it, beautiful, feminine and romantic, like me! This necklace is beyond beautiful! Years ago my husband gave me a pearl necklace for our anniversary after he’d heard me once say that every lady needs a pearl necklace in her life. Now my daughter is grown and about to embark on her own life as an independent young lady. If I were fortunate enough to win this lovely piece from Ross-Simons, this would be her “necessary” piece. This could celebrate her right of passage as a young lady who has come into her own and of whom we are so proud. What a privilege to get a chance to win these pearls! My favorite since I was a little child. The first ring my husband (my then boyfriend) ever gave me, and they are my birthstone. Another precious thing about them, they come from oysters, which was my sweet daddy’s favorite seafood. Love to win them! After all, Barbara Bush doesn’t need them. Pearls have always been my favorite jewelry. Forty eight years ago my husband gave me a pearl necklace as a wedding gift which I still wear often. Very recently I told him that I would love a multi-strand set of pearls. This necklace would be perfect! And I wear pearl earrings every day. Thank you for sharing with us. I love pearls…and this necklace is beautiful! What a timeless piece; it’s so beautiful and would go with lots of things in my closet. Thanks so much for the giveaway which I shared on Pinterest. I would love to win because there is nothing better than hats, pearls and southern girls! I would love to win these beautiful pearls for my Mom ,she will be 100 years young in May. I think she would look beautiful wearing something this special ! She has always been special to our family even without pearls !!! Good luck to all the entries ! Looking forward to sing you in Pensacola in August! Pearls are my favorite go to pieces. I love the multiple strands in this necklace. Just lovely! Pearls are one of my favorites to wear, they go fabulous with everything! I love reading your posts, they make my day so much more enjoyable. I love the pearl necklace. Every woman needs to feel special. I would love to win this. This Pearl Necklace is stunning! It would be great to win such a beautiful necklace that is so well designed. The number of responses clearly shows both the love of pearls and the popularity of this blog. Thank you. I also greatly appreciate an opportunity to enter the giveaway without use of social media, not all of us participate in those methods as hard as that might be to believe. OOH , It would be such a much needed lift to win the necklace – actually love any of the gorgeous pieces pictured here. What a nice giveaway!! What a dream to own!! Something so precious to enjoy. What woman wouldn’t be radiant with these on her neck. Pick me , please. And thank you for your generosity to think of your readers. Looking sooo forward to hearing from you…. The pearls are lovely and also “The Ribbon in My Journal” is also. The pearls are so romantic-looking! Wearing them would make any lady feel and look like a million bucks! These are absolutely beautiful and my birthstone. Would really enjoy having them. Thank you for the opportunity to throw my name in the hat! The moment I saw them, the pearls instantly reminded me of both of my grandmothers who are not with me anymore. They are beautiful – so are the pearls. The pearls are simply beautiful. I would love to win the necklace. I don’t think I would take it off. Thank you for the chance to win and good luck to all. What a wonderful opportunity you are giving to a very blessed person. I would love to be the person to win this beautiful pearl necklace. The pearls are exquisite. Thanks for the opportunity! Oh, I do LOVE pearls … thank you for the opportunity to enter to win this beautiful necklace! It is stunningly beautiful! So pretty! I love the style, what a statement piece. My 29 year old daughter has just survived cervical cancer surgery,and has learned now that she needs surgery on her nose to be able to breathe correctly ,and also a procedure on the backside of her head to help alleviate constant headaches. She is a very caring full time nurse and works very hard. So far 2015 has been a really bad year for her,I would love to be able to give her such a lovely gift .I believe these beautiful pearls could make anyone feel special. Thanks for the chance . Kathy cavileer. The pink pearls are absolutely beautiful. I don’t own any pearls and it would be wonderful own these to leave as an heirloom for my two granddaughters. My oldest granddaughter is five years old. When she was four I commented on a pearl bracelet that she was wearing. She told me that pearls are a girls best friend. I thought that was cute coming from a four year old. Thanks you for the chance to own such an exquisite piece of jewelry. Ross-Simons is a remarkable company. I also very much enjoy you blog and Southern Lady Magazine. I posted the pearls on Pinterest. This is just beautiful and it is just my style. Would love to have it! Pearls! Brings the thoughts of my sweet, kind, loving grandma…. She has many years ago, but seeing those beautiful pearls brought her vividly back to me!! Good luck choosing someone to receive them. My vote is for the Mom who said her daughter could use a lift or something like that. Sounds like a sweet caring Mom…. And someone who needs something to smile about. This pearl necklace is simply beautiful and elegant just like a Southern lady. I would be most appreciative and forever thankful to win it. so kind to be doing this, because The Ribbon In My Journal is so worthy. Thanks for sharing. I love wearing pearls and these pearls are beautiful – timeless and modern – elegant and airy. A perfect way to make any day a special day! I would adore this necklace because it would go beautifully with all my favorite outfits. Shared on Twitter! I would love this! I don’t have an elegant jewelry, and this would go with so many things! Thanks for the opportunity to be so lucky to win this beautiful pearl necklace. Among traits of a “Southern Lady”, I always associated a pearl necklace. I may have been born in the Midwest, but in my heart, I have always been southern! I love pearls . When wearing them I know it means that I’m going to a special occasion – they are always classy . I don’t think I have any real pearls. My son is getting married in Jan. 2016. Wouldn’t these be special to wear? absolutely beautiful necklace…..would love it win! 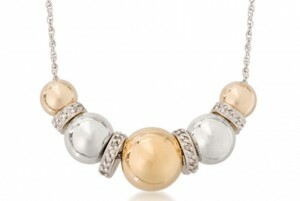 Absolutely beautiful necklace…..would love to win! These pearls are just what you think of when you think southern. Would love to have this beautiful pearl necklace for my very own!! What a lovely strand of pink pearls, and kudos to the stylist & photographer for such a beautiful presentation! Thank you Phyllis & Ross-Simons for the opportunity to win such a wonderful piece of classic jewelry! How beautiful and elegant. Any woman would be proud to wear these pearls! Ross-Simons offers lovely jewelry. My dear husband has purchased several lovely things for me from them. The pink pearls are especially beautiful. Such a perfect spring addition! I love the sheen and loveliness of this necklace. What a beautiful, elegant, and stunning necklace. I have never seen pink pearls before. Thank you Ross Simon’s and Phyllis for this wonderful opportunity. I have never owned anything so beautiful before and would feel beautiful and honored to wear such an elegant necklace. Thank you for the chance. You always have such beautiful things in your magazines and on your blog. I love pearls, always have and always will. I have collected pearl jewelry for many years and enjoy wearing my jewelry. I always feel elegant in pearls. I really hope I win, but if I do not, this necklace will certainly go on my Christmas list. Beautiful jewelry presented on a beautiful blog! Would love to be the lucky winner of this giveaway! How generous to offer such a lovely piece, perfect for Mother’s Day! Thank you for the opportunity. I love the classic beauty of pearls. It would be so wonderful t to win this beautiful necklace for my daughter who is going through a rough time right now. I have been wanting to get a string of pearls ever since I found out the one I had wasn’t real. For years I thought the pearls I had a friend get for me when she visited China were real, but sadly they were fakes. I would love to have real pearls. I wear pearl earrings, necklaces and bracelets more than the rest of my jewelry. These are stunning…and would definitely be handed down the generations. This is not a want, It is definitely a need!!! Even if I don’t win…I’ll print out the picture and just look at them. They are truly beautiful. Thank you for presenting them.They are a girls best friend. Be still my heart. Who wasn’t enchanted by the young and beautiful Jacqueline Kennedy? She was the picture of style and grace and never without her simple strand of pearls. I truly believe that pearls are the most important accessory in a woman’s wardrobe. Pearls are the only thing that can put the finishing touch on the little black dress. Wearing this lovely Ross-Simons Pearl Necklace would be the perfect reminder of all the timeless beauty, elegance and grace I have adored on each and every page of my most treasured and beloved Victoria. I only own a single strand pearls. This would be a very nice change-of-pace look for me. This classic pearl necklace would be the perfect accessory for my dress when we celebrate our 50th Wedding Anniversary later this year. Thank you Ross and Simon for the wonderful opportunity, I would love to win it for my Sister since it is such a lovely shade and it is her favorite color. Love Ross Simons and this necklace is beautiful. Thanks for a great giveaway. Stunning…..Classic…..Always in style! It is beautiful! It would make any dress perfect and the wearer feel grand. Thank you for the opportunity. Whoever wins this giveaway is lucky! I just love pearls. They are the purest gifts the sea gives to us. These pearls would perfectly complement my lovely new blouse! Pearls—-a girls best friend—always appropiate. A timeless classic that speaks elegance and simplicity. I remember when I was 13 and swimming in a Minnesota lake one hot July. Another young girl in the water plunged down into the water and when she came up her hair was pulled back so that her ears could be easily seen. I saw her single pearl earrings sparkling in their white luster in the summer sun. I was stricken with their beauty. That was it for me. That’s what I wanted my ears to look like. I talked my parents into letting me get my ears pierced and trotted as soon as I could to our small town’s jewelry store where I bought my first pearls. Since that time, I’ve made several more trips to the jewelry store to replenish my pearls after losing one. Of course, the one pearl earrings were beautiful, but pearls look good in larger quantities as well! I went to prom in pearls. I graduated from college in pearls. I got married in my Grandmother’s pearls. Pearls, pearls, pearls, what else do I need? They’re simple and beautiful… charming and delightful. Every time I see the photo of this necklace, I fall in love with it all over again. What a beautiful pearl necklace. I can’t imagine any one who would not be ecstatic to win it. Love the pearls, love Victoria magazine and thank you for keeping beauty in our lives. Love these pearls. They are classic! Pretty & classic pearls – love to wear them & have a pearl Ross Simons bracelet! Thanks – please enter me! Thank you for the opportunity to win this lovely necklace. It is such a soft, gentle color. What a beautiful necklace. The perfect accessory for the Spring season! Thank you for the chance to enter. Always enjoy your delightful blog! I was very ill last year and have now retired and am slowly really enjoying life again but honestly I would love to have the pearls simply because they are so beautiful. Thanks for the chance to win them. Peace. 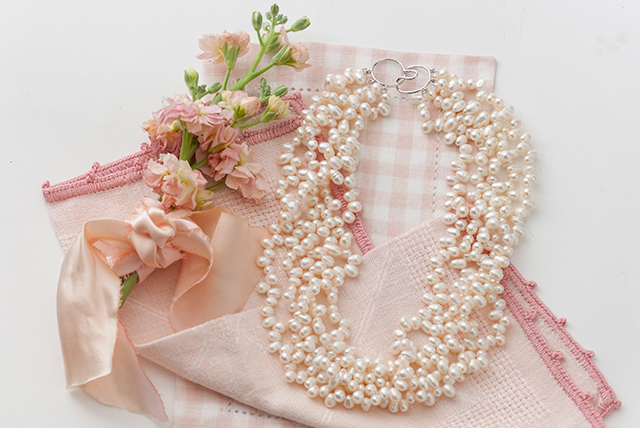 My favorite color – pink, paired with my favorite jewelry – pearls! What could be better?! Have bought from Ross -Simons for many years, would love to have the pearl necklace. These pearls are beautiful. The would go perfect with the dress I have for my niece’s summer wedding. I drool over the Ross Simon catalog….and these pearls are gorgeous! Who would not want to win them? They are beautiful! I would love to win this beautiful pearl necklace. 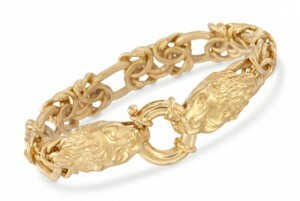 I have ordered from Ross-Simonds for many years and know how lovely their jewelry is! Such a lovely gift for a new bride. I’ve been drooling over this necklace for months! I’d rather have pearls than diamonds! A lovely necklace! Anyone would be delighted to be selected as winner!! LovelY– in every sense of the word! Like the pearls, I’m coming out of my shell. I shared this on Facebook. Pearls add so much to any outfit . I would love to own t so that I could share it with my beautiful daughter Melissa Joy who us a “Pearl Girl. Roses and Pearls are truly two beautiful treasures of life! The Ross-Simmons pearl collection have always been pieces of art. I do not own any of their pearls but I have friends who did and I have always admired them. Love the jewelry. Ross Simons has beautiful things. I would Love to have this necklace. The Ross-Simons Pearl Torsade necklace is just dreamy. And the perfect versatile length. I would be so pleased to show off such a beautiful creation! Thank you for the giveaway opportunity! I love your blog and look forward to your posts. I bookmark this necklace in the Ross Simons catalog every time I get it, but would never spend the money on myself. Thanks for the chance to win one! For many years now I have been wearing pearl stud earrings, They are a very classic look that never goes out of style. That necklace sure would be a beautiful piece to win as pearls are a timeless and classic look that are always in style. These pearls are exquisite! They would be a dream to own and wear and then “loan” them out to my daughters for whenever they marry. A family heirloom in the making. I shared on pinterest and I would love to win this necklace because it’s a beautifully timeless piece that would be amazing to won and wear. Would be humbly proud to wear to church. These pearls are magnificant. It would be an honor to win and wear them. This is a beautiful necklace. I would love to win it! This pearl necklace is beyond beautiful and elegance. It is so gorgeous and classic just like my Mother whom I would give it to because she is so deserving. Absolutely beautiful. Who wouldn’t want to win this necklace. Pearls always remind me of my grandmother, a poor Irish immigrant, who endured with grace, many hardships. She saved her pennies for years to buy a tiny strand of “real” pearls. Like the oyster who wraps the grain of sand in luminous beauty, her life was an illustration of creating beauty out of adversity. This necklace would be worn with her memory in mind. I would love to give this stunning necklace to my daughter. The pearls would adorn her neck with outward beauty as the kindness and truth of her character adorn her with inner beauty. Pearls are gorgeous and timeless and so is this necklace. Thanks for the opportunity. A beautiful and delicate way to dress up any outfit and it would certainly lift my spirits. I like jewelry of all kinds and styles, but pearls are my favorite. So feminine and classic. I wear pearl earrings practically everyday. Thank you for the opportunity to win this beautiful necklace and blessing us with timeless elegance. Upon seeing this beautiful pearl necklace, my first thought was . . . my daughter. She loves pearls; but at this stage in her life (married, early 30’s, homeowner), pearls have to wait. This necklace would be perfect for her. Ah, well, we can dream . . .
My mother taught me early in life that pearls go with everything. Every time I wear pearls I’m reminded of my mother and that is guaranteed to make me smile. After having a double mastectomy last month, without reconstruction, I am rethinking tops and necklines. This beautiful necklace would certainly draw focus to my neck and face instead of my chest! I’d even wear it to chemo treatments to spruce up the place. The pearls are lovely – my daughter would love them. As we get older, looking in the mirror gets much harder; these sparkling pearls would bring the brightest smile! I love pearls, and this is beautiful! Love Pearls! The first ring I got as a young girl was pearls! Winning this would brighten my day after losing my brother last week. Since I have a June birthday, pearls are my birthstone, and I would love to win this lovely necklace. How kind of Ross-Simons to offer a necklace to a lucky one of us! This strand of pearls has a real fresh updated look. I, like countless others, would love to win them. This might be one of the most gorgeous pearl necklaces ever. Who wouldn’t love to wear it? Pearls are classic and timeless and feminine; who wouldn’t love to feel like that?!? BEAUTIFUL necklace and the perfect gift for my Mom who will be turning 95 years young soon. Would love to wrap this gift of beauty and present her with such an amazing token of enduring devotion!!! Thank you for the opportunity to win this for her as she has been my inspiration through life!!! What a beautiful piece of jewelry! Thank you Ross-Simons for the opportunity to win such a treasure! I hope I might be lucky enough to win! What a beautiful necklace. I used to live in Rhode Island and visit Ross Simons all the time, a lovely store. i shared on Pinterest under my Happiness board. The jewelry is beautiful, especially the pearl necklace. I am a southern girl and nothing says southern like a beautiful pearl necklace. When asked if I like pearls. I answer “yes please!” I own a couple lovely necklaces. But nothing like this one! I adore pearls!!!! I love the simple grace and elegance they bring to everything a woman wears. Pearls acquire a certain glow around a lady’s neck that no other jewelry can reflect. I love,love,love, pearls. What a beautiful necklace! Beautiful! Love to win this necklace. Oh my gosh, so beautiful. My husband and I travel to Japan, in 2007. Coming home my luggage was cut opened and I lost my pearls, I would this, it may not be exactly what I lost but I would love to. Replace with this beauty. Like the classic LBD they can be worn for any occasion. I cherish the ones that were my Mom’s. The picture immediately brought the vision of retreating surf at the sea shore. I shared this on my facebook page where I communicate with lost/found animal groups. This will brighten up their day. I would love to win this set of pearls for my mother in law. She recently found out that the pearls left to her by her sister were not real and it was quite a huge disappointment to her. This would certainly make a most memorable mothers day for her! Pearls make the everyday full of ‘grace.’ One can wear pearls with jeans, a gown or even shorts. I would love to win this pearl necklace – it epitomizes abundance and would be the feng shui item for a rockin body. I would love to win to surprise my wonderful Mother-in-law for Mother’s Day. She has been a joy in my life. Love pearls; they go with everything. What a lovely gift these pearls would be! Would love to win! Thank you Phillis and RS for the opportunity to receive such a gift. Pearls are to be worn with everything! I have on some right now with my t-shirt and jeans! taken. I would love nothing more than to give this beautiful pearl necklace to her. Pearls are my favorite accessory to wear! I posted the give away information on Facebook. Such a lovely necklace! Would love to win it. Since my mother’s name was Pearl and she was a wonderful woman, Pearls have always been special to me. I love these pearls, they just glow. Please thank Ross-Simmons for this generous giveaway. What a lovely necklace. It will look beautiful on the lucky winner! My mother had one very similar to this one. I would love to have this to wear in her honor and memory. Thanks for the memory. I have never owned real necklace like this and it is lovely. Just like the ribbon marks your page in your journal pearls mark life events and remind of how precious life is everyday. Nothing says Southern elegance better than a woman wearing pearls. I treasure a small stand of my mom’s Who was a true southern lady and would love to wear and pass on this elegant necklace to my granddaughter. Thank you RS and Phyllis for this great opportunity. Pearls have always been my jewelry of choice. I wear them for special occasions as well as for casual – even with denim. I am a true pearl lover. This Ross-Simons necklace is gorgeous! I would love to win these pearls because I don’t own real pearls and I’m in my 50s. It’s time! You can’t be a truly southern girl without your pearls! And I don’t have any like these. Would love to win and wear these. Yes, these are just lovely pearls, but for you southern girls, we mid-west gals happen to love them too!! May they go to a well deserving winner. Pearls are timeless. What beautiful craftsmanship! I own one pearl strand necklace which I adore, and would love to have this beautiful necklace. It would be wonderful to wear to upcoming special events such as graduation, wedding, and Mothers Day celebrations. This is a stunning necklace, with timeless appeal. It would make a lovely heirloom to pass along, after enjoying it all your life. I would enjoy this necklace so much, and it would be a wonderful pick-me-up. I am ill and spend time in the hospital or mostly homebound. I still enjoy wearing my jewelry, though, because it’s cheerful. I enjoy your blog, because it reminds me of the beauty in life. Thank you for sharing your thoughts. I don’t know if this is the exact look of the necklace that’s being given away…. But, I love the peachy-pink shade of the pearls, and how they are different shapes and sizes; it adds unique dimension. Beautiful classic pearls should be a part of every woman’s wardrobe! Would be thrilled to win. No ladies wardrobe should be without pearls. This pearl necklace would be a lovely addition to mine. I would love to be the proud owner. Always wanted one of these! I’ve actually seen this in RS before, beautiful! Being in ministry I’ve always worn pearls because they are so classic, never a trend. I’ve been called the modern day June Cleaver because I’m rarely seen without pearls. Pearls have memories–who gave them to you, what special occasion you wore them to, how beautiful you felt wearing them. This is a stunning necklace, I would love to win it. I would be tickled pink to win this stunning necklace. Pearls are timeless and the ultimate in femininity. This piece is just lovely. I would love to win that gorgeous pearl necklace! I would wear it with everything–casual or dressy. I would love to win the necklace. It is very beautiful. I don’t own pearls. Beautiful necklace and RS is a very reputable company providing affordable jewelry. This necklace is a beauty! Would love to win this! Pearls are timeless and this necklace is an exquisite example. What a lovely piece to enjoy and hand down. I would love to win this giveaway! What a stunning necklace! Superb workmanship. What a lovely gift to hand down to my granddaughters. Perfect gift for a woman and or a bride, and Ross Simon’s jewelry are works of art. A perfect gift to hand down from mother to daughter. I would love to win this beautiful necklace! It is so classy and would be a great go to necklace for church or special events! I LOVE, LOVE, LOVE pearls. Those are beautiful. Who wouldn’t love to wear a beautiful pearl necklace? I hope I’m the lucky one! I would love to win these! I dont have a set of real pearls yet, just costume jewelry. My pearls are some of my favorite though! These are just beautiful! So very elegant….brings to mind Audrey Hepburn. Beautiful! My birthstone…would love this!! Love Ross Simmons too! Is there anything better than pearls?!!! What beautiful pearls – so feminine and elegant! Such an enchanting pearl necklsvd! It would be a delight to win and wear it! A girl can never have enough jewelry and pearls are a must. They are to elegant with everything. Worn my queens, celebraties, first ladies, and even the more common people like us. LOVE THEM!!! Pearls are my favourite jewelry accessory! From jeans to dress up they make me feel wonderful! From classic to fun they always look great! Pearls make my heart beat faster, and that particular necklace is stunning. Shared with my Pinterest friends. Pearls are my favorite and this necklace is beautiful! I absolutely love pearls- especially small ones. My aunt used to give me a tiny pearl every birthday and Christmas to add to a necklace when I was a child, until she passed away. I still have the beautiful little necklace that I am saving for a granddaughter (hopefully) someday! Pearls are a treasured heirloom. Pearls are my favorite accessory! I wear some sort of pearl jewelry every day combined with sterling silver. This necklace would be a perfect addition to my collection. I’m always in pearls…the only earrings I wear! So classic, so charming…so southern! I would love to add this necklace to my earrings for the perfect spring look with a bright sheath dress. Husband has been hospital for 9 days now and has been very stressful. This would be a great way to celebrate how God has blessed me to let him live to see another day and hopefully go home soon. Beautiful jewelry! Who doesn’t love pearls? They go with everything! Beautiful. My granddaughter , Lyndsey, is getting married soon. I’d love to win them for her to wear on her wedding day. I would give this beautiful necklace to my future daughter-in-law as a personal wedding gift. Her own mother passed away recently to whom she devoted her life. It’s every southern girl’s dream to own pearls. These are fabulous! Pearls are always a winner. Beautiful presentation of fresh water pearls for the season! What a beautiful necklace. I have a royal blue blouse that is in need of an accent like this. This piece is stunning and timeless. My love of jewelry I got from my mom — wonderful memories. I rarely leave home without wearing something pearl. Many times it is a one strand pearl bracelet paired with a gold bangle. It makes even a jean and t-shirt outfit more feminine! Thank you so much for this blog celebrating the beautiful things in life! I look forward to opening it each time! The pearl necklace is stunning and would love to have them to celebrate my 20th cancer-free year! Okay…We all know that pearls are a girl’s best friend AND we can never get enough of them! (Actually, I don’t have but one small strand.) I would be just THRILLED to have this beautiful necklace!!! 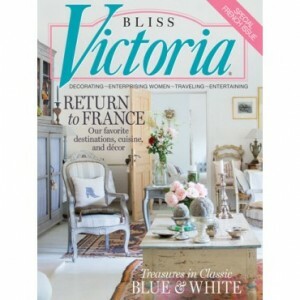 It is so elegant and beautiful much like the home decor in Victoria!!! I’m a pearl girl ~ This necklace is beautiful, I’d love to wear it. Because every southern girl loves pearls and these are gorgeous! I would love to win! These pearls ate beautiful. I would love to win them. What a gorgeous necklace … so feminine! I would love to be the one to wear it! Pearls are my favorite. I wear them with my jeans and dresses. So perfect and practical for dressing up any outfit. The necklace is beautiful!! Would be thrilled to wear it! Beautiful necklace with pearls, my favorites AND my birthstone! The winner will certainly add a classy piece to her jewelry collection! Breathtaking pearl necklace! I would love to win it, and treasure it, and eventually leave it to my granddaughter Carmen someday. I am fairly new yo your blog- and I so enjoy the different topics. And now a jewelry giveaway-that’s great! Please enter me to win! Thanks so much! Stunning pearls. Anyone would be lucky to win these. Thank you for the opportunity. Beautiful necklace. No Southern woman has too many pearls. God is so gracious! I know your daughter will love the pearls! And I pray she will have a happy healthy birthday, and blessings all year! What a lovely necklace! Pearls are THE signature statement of a southern lady… I will be 50 this year, born and raised right here in Birmingham, but I don’t have any pearls. I would so love to win this necklace! Thank you Ross-Simon for your generosity and you, Phyllis, for bring us such a wonderful blog! Please pick me!!! I would love to give these beautiful pearls to a woman who needs a pick me up. My dear and only granddaughter is being married in May…..the 30th. I would love to win for her. I love this beautiful necklace! It’s the perfect accessory for most any outfit. Classic style at it’s finest! Love pearls as they can be worn with most anything from jeans to satin & lace – so versatile and beautiful. Gorgeous necklace I would love to win! I would like to win in order to give it to my daughter who loves pearls. Her birthday is May first. We celebrate each birthday with gratitude to our Lord because she had cancer in her twenties and we are so blessed she is a survivor. Thank you for the video clip on the care of pearls. I just inherited my mother’s pearls and I am honored to have them and will pass on to one of my granddaughters. Pearls…classic and oh, so beautiful! I love this. As my jewelry was recently stolen, I think this would be a great piece to start replenishing my jewelry box. I love jewelry, and especially pearls, MOST ESPECIALLY freshwater pearls. They are always my go to for any occasion; even around home, and have bee known to wear with jeans, and sweatshirt! Though I on have 2 necklaces to wear! I shared this beautiful giveaway on Pinterest. It would be so nice if I were chosen to receive such a pretty gift. Love, love, love pearls since I was a little girl. Have passed this on to my daughters and their daughters. Now hoping to get my great-granddaughters going in that direction too! Always classy!!!! This necklace is so lovely. This pearl necklace is stunning; it is elegant and feminine in every way. I would love to win it so I could give it to my mother, whose mother always wore pearls. Thank you for your consideration. What a beautiful necklace. Someone is going to be the lucky winner! I adore jewelry. These are some of the latest necklace trends!!! But I do not have one yet!